I know this is too early on to predict top 5. Any wild-card entries may change the current dynamics in the house. Still among the current participants who does u all think has the right knack and aptitude to be in top 5? 5. Sana khan: She is the smartest player. She is neutral, diligently completes her work. In addition to being an eye-candy, her safe game play can protect her from nomination for long. But the same reasons can back-fire as she may come across as boring for such shows. 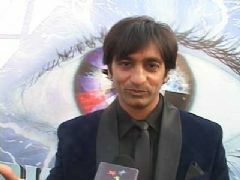 Who is the hottest contestant of Bigg Boss? mango man if he survive today. Is there any spoiler by now shoot must be going on or over. "Oh Shut Up! Honestly, you are the PERFECT example of an idiot"
This EX Bigg Boss contestant to make a comeback to acting after 5 years? Salman Khan to make his DEBUT as a producer with an upcoming TV show? Here's what Sapna Bhavnani has to say about her 'KISS' with Bani J!